I've been actively studying (and practising) OBE since 1979. In that time, I've amassed a collection of more than 150 books on the subject (not counting peripheral topics like Near-Death Experiences, Remote Viewing, Lucid Dreaming, etc.) I collect them and I study them. Lately I've been writing book reviews on them as well. My point is, I had to buy Michael Beloved's book for my OBE book collection, and having read it, I decided to write a review like the others. I write these book reviews for two reasons: First, I'm trying to give OBE fans some information as to what to expect before buying the various OBE books. Second, for my own sake: I can't remember all the highlights (and low lights) of all the OBE books I've read throughout the years; I wish I had done book reviews for every one, but I can't change the past. A few months ago, I decided it's never too late to start. My blog readers know I don't candy-coat or pull punches. Some may say that because I'm an OBE author myself, I shouldn't criticize my competition. On the other hand, I have to be honest about my feelings. The fact of the matter is: OBE books are not created equal. Some are better than the others, and some are worse. So I have to be honest with you: I did not like this book. Maybe it's just that I had too high of expectations, especially since I've read (and reviewed) some excellent OBE books lately. First, it was way too small. When I'm shopping on amazon.com and see a book cover, I imagine a nice thick book with lots of information. This one was only 140 pages, and the font size was bigger than normal type. Also, there are several large graphics that take up a lot of space. So it's a very small book, with very little information. Second, it seemed very disorganized, like the author's mind was drifting from subject to subject without any order or cohesion. A lot of time he's not giving information as much as asking the reader questions. For example, pages 98, 100, and 101 (plus half of 99) are all questions that basically go unanswered. Questions like "What would that paradise be like?" and "How does an astral body deteriorate?" There are no answers; just questions. Third, it makes unsubstantiated claims, without giving personal experiences to back up what it says, or references like Luis Minero's book. I was conscious of astral projection since infancy. I was lucky. But that does not mean that you cannot have these experiences. Again I remind you that astral projection is not your deliberate action. It was not mine. It is not something that I commanded myself to do. It happened. 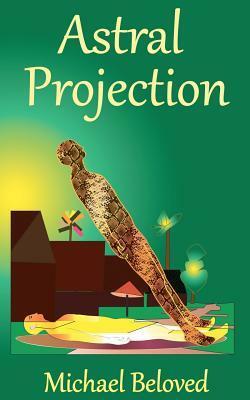 Astral projection is happening but you have to achieve consciousness of its occurrence. In the first sentence, he's admitting that he has natural-born OBE abilities. That's fine, but it isn't much use to someone like me who wasn't naturally talented, and had to work hard for all his OBEs. After all, if the author hasn't had to work for his experiences, and they just happen to him, how can he teach me his technique? In the third sentence, he is saying that you can't produce OBEs through direct action; you just have to let them happen. You have to keep your mind "passive" to a certain degree when doing your technique, and maybe that's what he meant. But otherwise, that directly contradicts my experience: It took me years to learn how to focus my mind properly to achieve OBEs. It is something I command myself to do. It doesn't just happen. Despite having said this, he goes on to suggest an OBE technique. Maybe I just misunderstood him. Maybe it's just that his writing is unclear or that his English is not polished, but if I'm raising these questions, other people will too. In the last sentence of that paragraph, he is saying that astral projection is happening but you have to become aware of it. I agree. In my experience, it happens to all of us in our sleep, and one technique is to learn to gain consciousness at that time. However, the author says nothing about sleep, and he doesn't offer a single suggestion as to how to achieve this "consciousness of its occurrence." He should have expounded on this. But the whole book is like this. Things I liked about this book: Despite its shortcomings, the author does give some good practical advice, such as: (1) practice in a location different from your bed (because you're conditioned to fall asleep there). (2) Practice when you are fully rested (so you don't fall asleep) and free of stress. (3) practice in a dark room, or cover your eyes with a cloth. (4) Clear your mind of stray thoughts. (5) avoid painkillers and drugs that affect the central nervous system. He also talks about the importance of visualization and he makes the (important) distinction not to confuse the visualization with an actual OBE: An OBE is a lot more realistic; visualizations are merely a means to an end. His technique consists primarily of trying to mentally sink back to the back of your head, or to visualize yourself floating above your bed. He also gives some advice on how to handle pre-OBE sensations such as seeing clouds of energy, or hearing a high-pitch sound. I'm not saying that this book is all bad. All I'm saying is that I've read much better OBE books. This one is much too short and disorganized. You'll do much better with authors like Fred Aardema, Luis Minero, Graham Nicholls, William Buhlman, Robert Monroe, and many others. They have more quantity, higher quality, better information and they're more entertaining. Excellent review, Bob. I very much appreciate your comments as I've read many of the authors whom you've recommended, and have been extremely pleased with the information they've shared - I'm the type of person who really needs to 'sink her teeth' into whatever I happen to be researching/studying in regards to OBEs, etc. If the material is lacking in substance, I walk away feeling very unsatisfied, so, once again, thank you for your input. Readers who feel ripped off, can send me an email and get the costs of the book refunded. it's really a information full post. thanks to shear . this post has removed my some mistaken thing . i thing if you bring on your acctivetice you will achive much popularety.. at last..thanks. Most OBEs have common features. For instance, the subjects often see their own physical body during the experience, like any other object in the room. They usually report having "ghostly" bodies that can pass through solid objects during the experience. Sometimes their ghostly bodies are even seen by others! They also report floating or flying, and often report seeing places or events that were out of eyesight. There is a chance you're qualified for a complimentary $1,000 Amazon Gift Card.